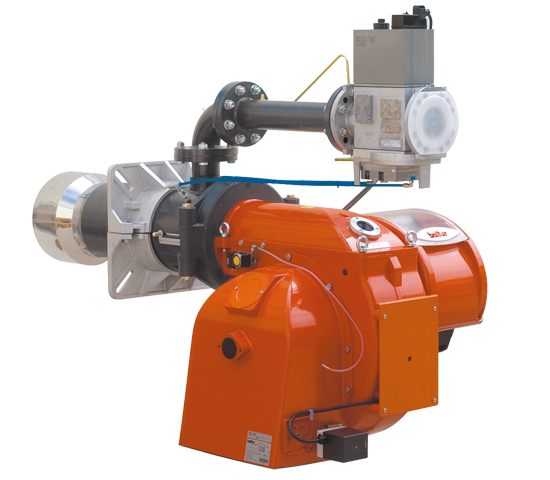 Gas burner compliant with European standard EN676. Pneumatic operation at two progressive stages. Continuous modulation operation by installing P.I.D. controller in the control panel (to be ordered separately with modulation probe). 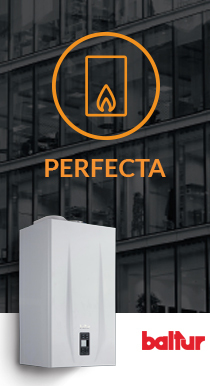 Gas burner with low NOx and CO emissions in accordance with European standard EN676: class 3. Combustion air intake with throttle damper. Air flow adjustment with electric servomotor. CE version gas train is complete with operation and safety valve with pneumatic drive, valve tightness control, minimum pressure switch, pressure regulator and gas filter. 4-pole socket for second stage control or for the connection of the PID electronic regulator.